As women we all wear our own ‘MASK’. We feel we must present ourselves to the world in a variety of guises / disguises. How can we change this? Are these expectations limitations? How can we let the real ‘me’ shine through? 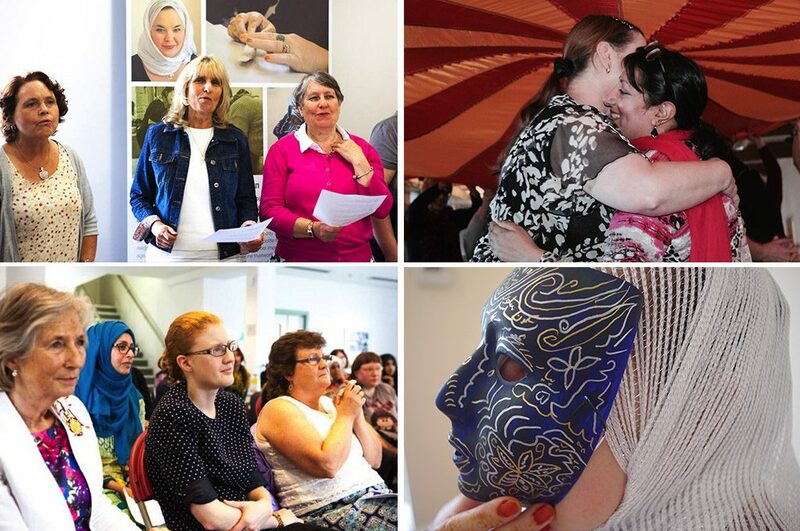 BEHIND THE MASK is a creative project which sees verd de gris work with a remarkable group of women: to highlight and celebrate the beauty, complexity and positivity of breaking free! The project includes creative workshops, advocacy work with women’s support agencies and exhibitions of original artwork, writing and photography made by the women themselves. The project will speak out loud and proud at seminars, symposia and conferences with our women taking the lead and telling it just how it is! At the poetry book launch event we were so proud to have Holly Lynch with us, local MP and close friend of Jo Cox, together with Angela Everson CEO of WomenCentre and Christine Harris, Deputy Lieutenant of Calderdale and Life Vice President of the Community Foundation for Calderdale.